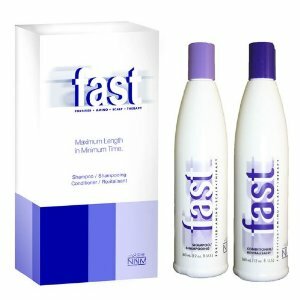 Nisim Fast & Mane ‘n’ Tail for hair growth. Thought I would give you a quick update on the products I’m using to maximize my hair growth. It’s been a couple of months since I finished up my Nisim FAST bottles, so I decided it was about time to start the regime again. 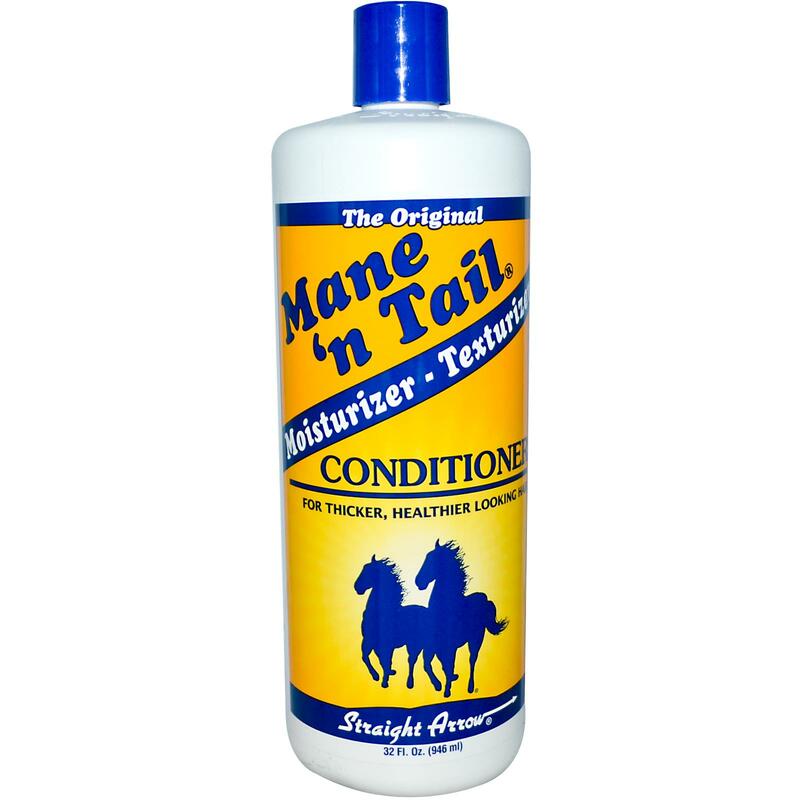 However this time I have changed things up a bit, and instead of using the FAST conditioner, I have replaced it with the Mane ‘n’ Tail conditioner, which is renowned for improving hair length. Natural oils nourish and condition hair and scalp while delivering essential moisture to dry, damaged, neglected hair. Keeps hair tangle free, soft, manageable, renewed and healthy while achieving longer, stronger, fuller looking and feeling hair. Effective as a leave-in or rinse out conditioner based on hair type and condition. Safe and gentle for all hair types. Although there is no scientific back up that the products improve hair growth, nor does the company guarantee it, the conditioner is packed full of hyrdolized proteins which will prevent damage and keep hair stronger for longer. I bought mine of Ebay as Mane ‘n’ Tail is difficult to find in the UK. I’m really excited about this brand because the products are so cheap and their are thousands of glowing reviews about peoples hair being transformed using them. Combined with the FAST shampoo I am hoping to get a full inch of growth a month, if not more! I have also just purchased the brand new Lee Stafford leave-in hair growth treatment. If you have had a look around my blog, you’ll know how much I love the pre-conditioner growth treatment that’s been on the market for a while now, so I had to snap this up straight away. As it’s a leave-in treatment, it works round the clock, so I can’t wait to see how it compares to the other products in the range. Read more here http://www.leestafford.com/en/products/hair-growth/hair-growth-leave-in-treatment . My hair is currently about 23.5 inches, so I will be doing fortnightly updates again to let you know how my new regime is going. Let me know if you have tried any of these products before and your experiences! Posted in Hair care, Hair Growth and tagged hair, Hair care, hair growth, haircare, hairgrowth, hairstyling, mane 'n' tail, nisim, shampoo, tretament. Bookmark the permalink. Last week me and my better half went on holiday to Ireland. I managed to bag us some lovely cheap flights, but the robbing ba****ds at Ryanair wanted to take 50 of my hard earned English pounds to check in a suitcase. Now I don’t want to make Michael O’leary any richer than absolutely necessary, so I decided a cabin bag would suffice. However this left me with a terrible first world dilemma, as you can only take 4 100ml liquids in your hand luggage, do I take make-up, skin care or hair care?!! After a certain amount of time I would rather not admit to, I came to the conclusion that my skin care had to take priority over my hair. That probably sounds wrong as I run a hair care blog and not a skin care one, but I feel my skin would deteriorate more rapidly and would take longer to recover. I’m a religious user of Clinique’s 3 step system and without it my face just turns into an oil slick, ew. So I packed my 3 step and a bottle of foundation, and prayed to all the gods I could think of that I wouldn’t return home looking an absolute mess. After arriving in Galway me and Dec dropped into the local supermarket to pick up some essential toiletries. As Ireland is soooo expensive we were on an extremely tight budget and despite my devastation, I had to buy the cheapest shampoo and conditioner I could find, that me and him could share! At first he suggested a 3 in 1 body wash, shampoo and conditioner and I nearly died, however we had not taken out any travel insurance so I pulled myself together and bought the next best thing. Garnier fructis. I swear this stuff has been discontinued in the UK? But it was cheap and it would do. The shampoo was absolutely full of chemicals and rubbish that my hair hasn’t seen for a long time, the conditioner was only marginally better and had one of those ridiculous diagrams about how strong it will make your hair, which has no scientific backup whatsoever. Just to note, I don’t have coloured hair, but this was the cheapest. One thing that really was essential was heat protection spray, I couldn’t ever use heat on my hair without it, definitely my number 1 hair care sin. I bought a travel Charles Worthington one which was 50% off in boots. 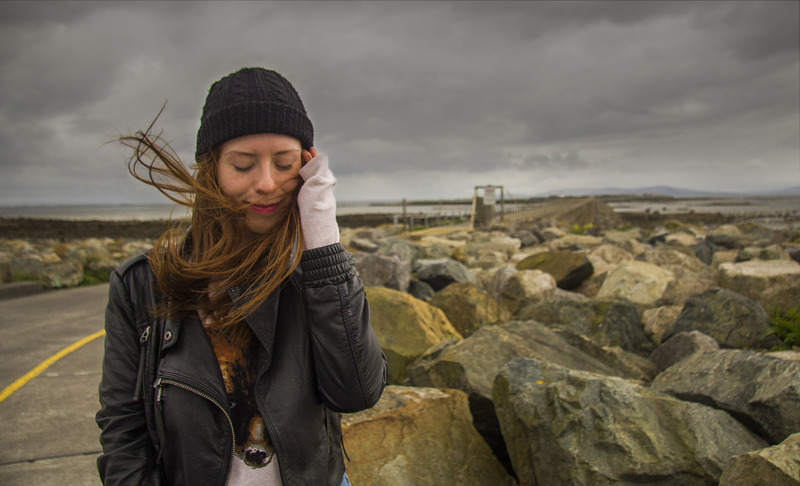 My hair suffered some major abuse off the Atlantic winds, making it very dry and knotted, leaving me with damaged hair and pondering why we hadn’t picked a nice hot beach holiday. I also used heat on it every day, something I am very much against, but as it was a holiday I wanted to look my best so I gave in. I also used a brush on my wet hair when I couldn’t find my comb, I didn’t deep condition, take biotin, drink enough water nor did I brush and braid my hair before bed like I normally do to prevent damage occurring from knots over night. All in all it was a terrible week for my hair. The damage is not irreversible but even though my last trim was less than 4 weeks ago, I am popping to the salon tomorrow to get the ends skimmed to neaten it up and get it back on track. Now this is not an inspirational post, and you may be wondering why I am admitting the monstrosities that I have done to my hair this week, but there is a moral to this story. If you read my blog because your on a hair growth journey or thinking about starting one, or maybe you are looking to just get your hair healthy then you should know that it is a major commitment. Just 7 days of reverting back to my old ways from a year ago really deteriorated the quality of my hair and has left it vulnerable to future damage and now I have to go and get it trimmed, which is the last thing you want when your on a hair growth journey. A good quality shampoo and conditioner are the essential foundations to healthy hair, despite what your mother might tell you they are not all the same, you will definitely get what you pay for. When you commit to having healthy hair, you really need to stick at it, there is no point not using heat for a week, if your going to use it 4 or 5 times the following week. So please heed my warning, and don’t take a break from your healthy hair care routine, I know I never will again! Keep your eye out for my next post as it will be an updated Nisim FAST routine incorporating mane n tail conditioner for maximum hair growth. Posted in Hair care, Hair Growth and tagged hair, haircare, hairgrowth, holiday, nisim, shampoo, Sulphate free, trim, vacation. Bookmark the permalink. Hello! So last week I finished my first set of bottles, and I felt both pleased with my results but also relieved to be giving my hair a break. 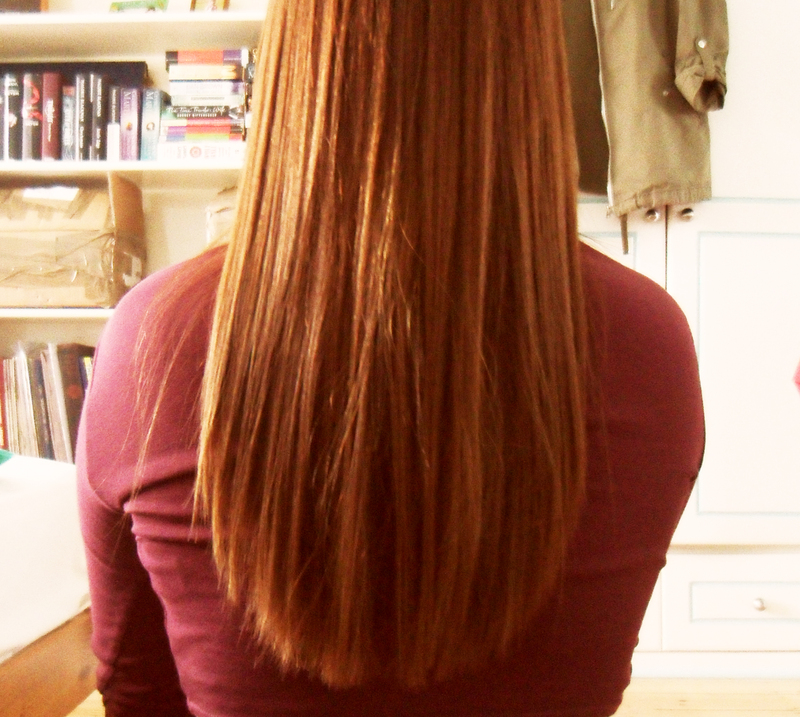 Overall my hair grew 1.5 inches in 5 weeks, which for me is LOOOOOADS! But also I felt the condition of my deteriorated slightly from washing it much more than I was used to. I will be starting the process over again in a month after I have let my hair have a rest, and I will report back if my hair continues at this accelerated rate now I have stopped using them. Please check out my youtube video for more details and info on the products, and here is a link to the boots website page where you can buy FAST. Lots more hair growth and hair care tips coming soon! Posted in Hair care, Hair Growth and tagged Beauty, hair, hair growth, haircare, hairgrowth, nisim, review, shampoo. Bookmark the permalink. Posted in Hair care, Hair Growth and tagged hair, hair growth, haircare, hairgrowth, nisim, shampoo. Bookmark the permalink. 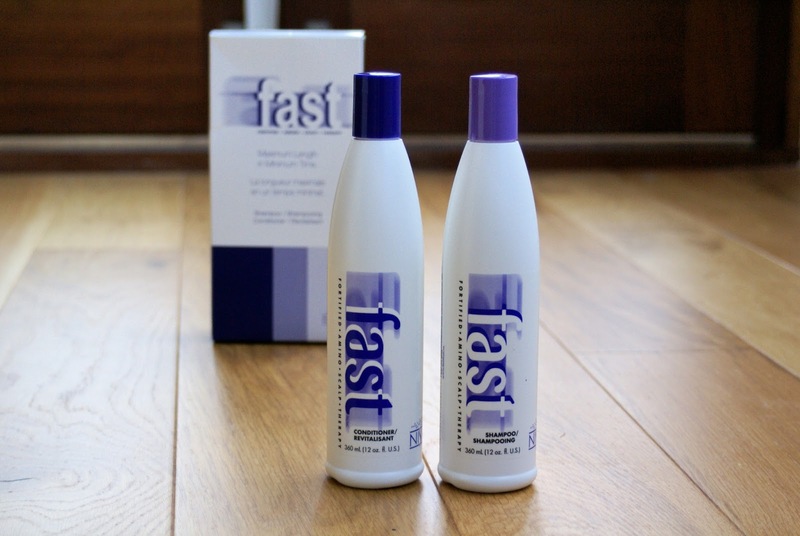 F.A.S.T Shampoo & Conditioner for accelerated hair growth. Fortified amino scalp therapy- FAST! I’m so excited for this product!!! I’ve been researching it for absolutely ages, but I have been waiting to get my hair in great condition before I trial it, as I don’t want to have to chop the ends off if it does work. HALLELUJAH, one year later I feel like its ready and coincidentally it has just been launched in the UK at Boots. So Nisim claim that this will accelerate your hair growth by up to 100%, so for me that would mean an inch of growth a month, that sounds promising! I’m going to be doing a video diary of this product so you can see the results, good or bad, so head over to youtube to check out my first video, I’ll be recording my progress every 2 weeks. Please let me know if you have used this product and your experiences so I know what to expect! 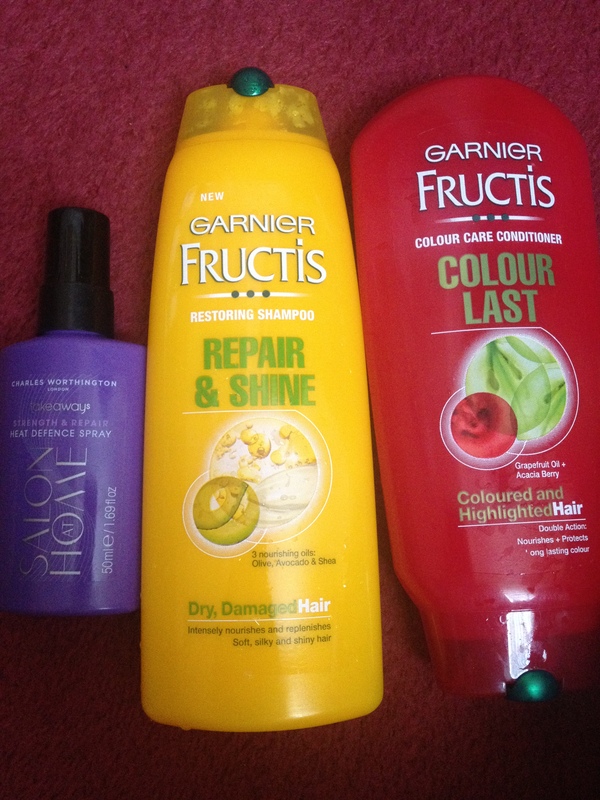 Posted in Hair Growth and tagged hair, haircare, hairgrowth, nisim, review, shampoo. Bookmark the permalink.